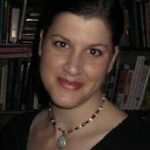 Feeling the need for color? How about adding some to the dining room. There are many ways, big and small, to bring a dining space to life with color. 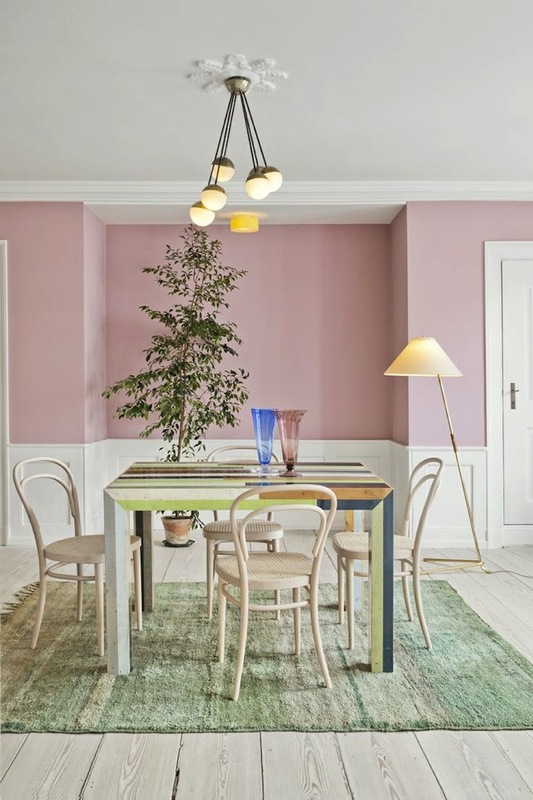 Paint on the walls can give an entirely different vibe, while colorful upholstery might be just the thing to spice up a beautiful but neutral dining space. 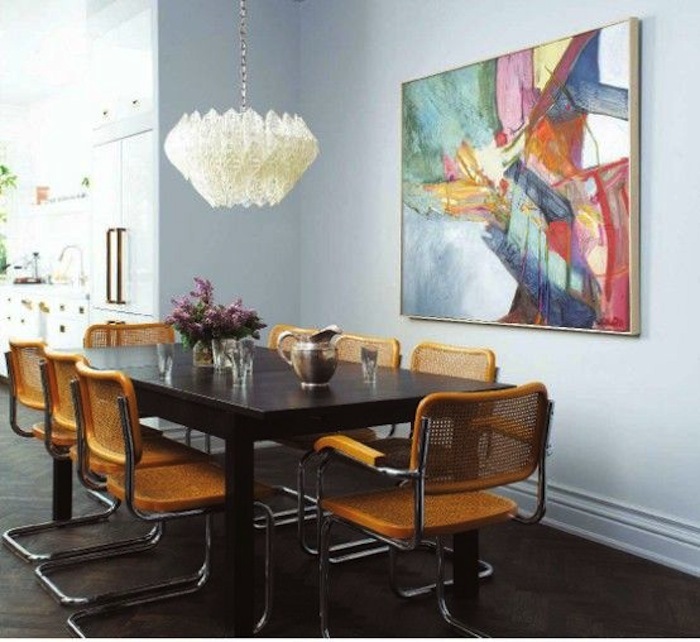 Check out these cool and colorful rooms with rectangular dining table. Grays of all sorts are becoming more and more popular for dining rooms (or any room.) 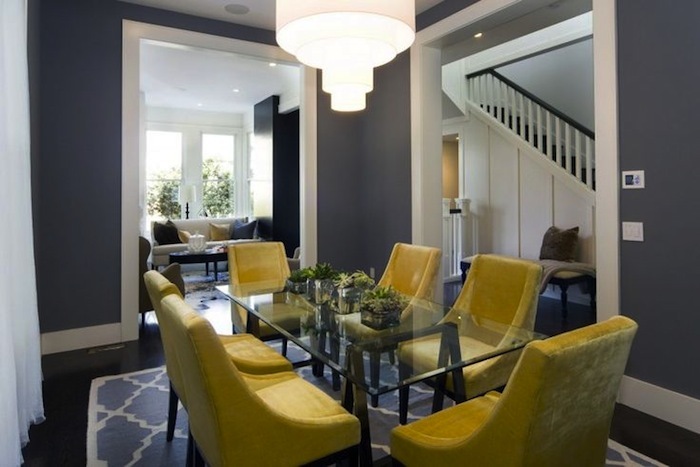 Here it’s used beautifully with sunny yellow chairs around a glass topped rectangular table. 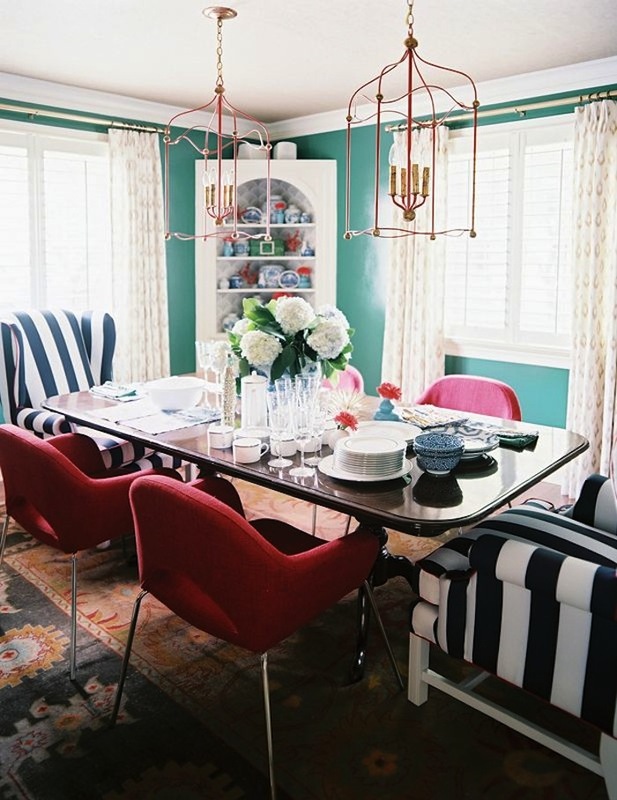 A big pop of brilliant color is used behind this wood table as a back for the banquette. Purple velvet chairs surround this solid wood table for a chic and stylish dining space. 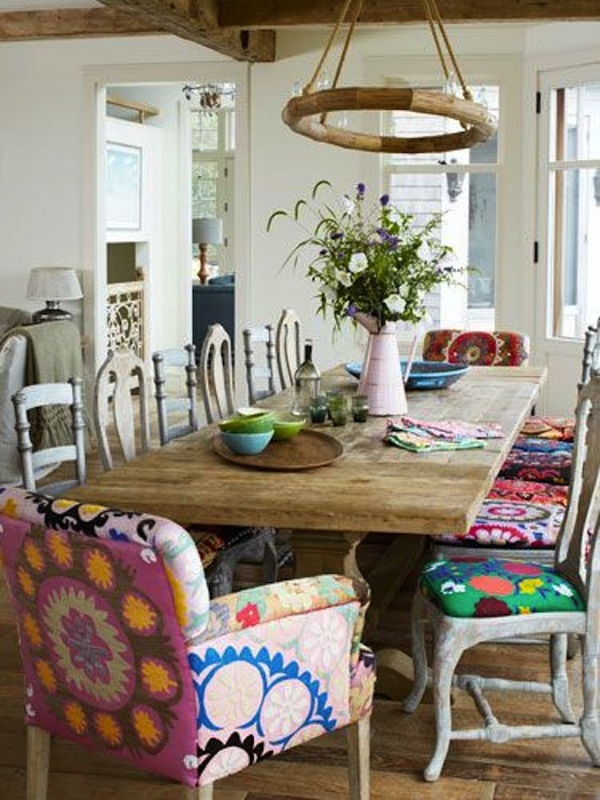 What a happy dining space this is—all about color and pattern. We love the look of this open living space—all neutral beauty with pops of red throughout. 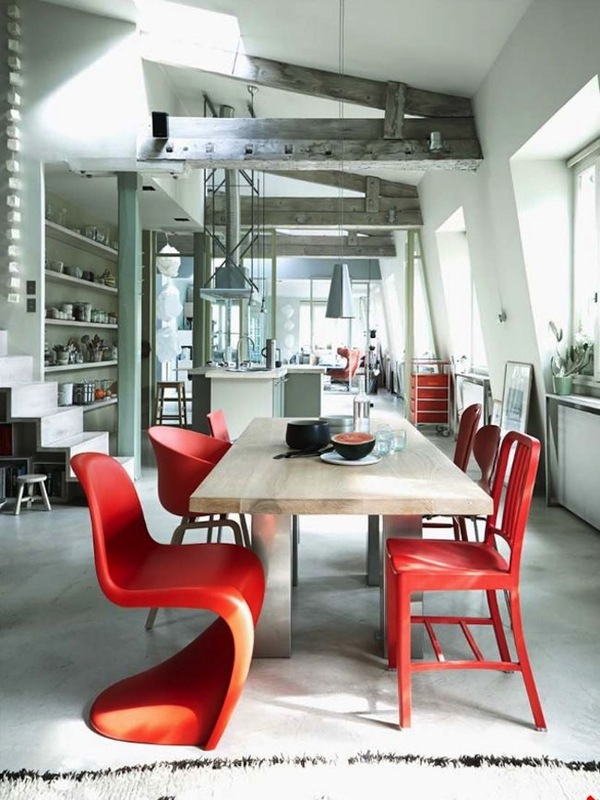 Red chairs around the metal and wood table are variations on a cool modern design theme. 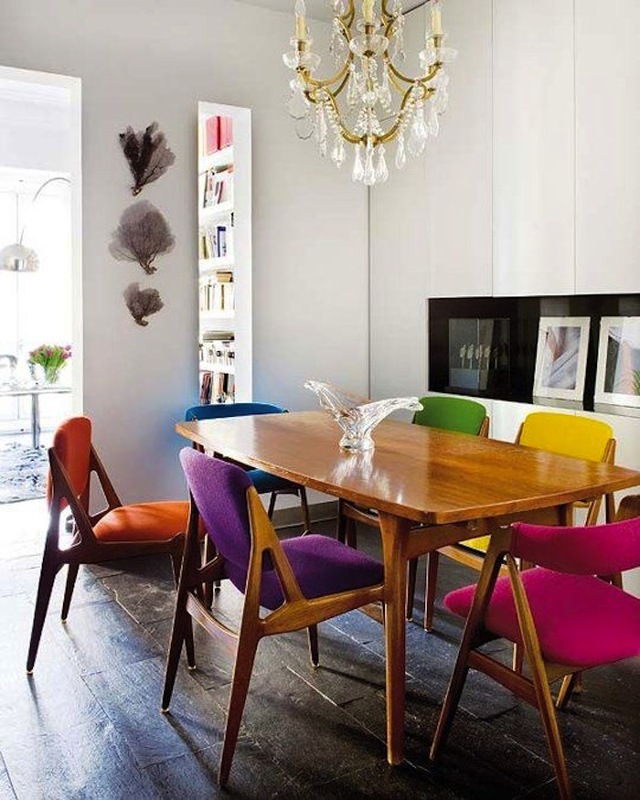 Colorful upholstered wood chairs are just right for this open dining space. Colorful pattern on a diverse array of wooden chairs is a great way to add color to a serene neutral dining room. Color is contagious in this breakfast area with green china hutch and built-in seating. Love the simple lines of the white washed table and painted chairs. Rather than blue chairs, this more formal dining room goes brilliant blue on the rectangular table. How beautifully inviting this space is. Want to add a beautiful rectangular wrought iron dining table to your dining room? 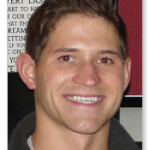 See our entire collection. Image Sources: TheApartment.dk; HomeDesign.com; Arqteturas.com; Pinterest.com; CountryLiving.com; ApartmentTherapy.com; HouseOfTurquoise.com; DesireToInspire.net; BHG.com; ArchitecturalDigest.com.